SPORTPEC is a Sports Performance Enhancement Center offering services to better athletic performance. Why do some athletes make it to the top and what helped them get there? As sport is becoming more and more competitive we feel that performance should be approached from a holistic level and all areas such as sports medicine, strength and fitness, nutrition and mental skills should be worked on to reach maximum potential. Elite, professional, as well as amateur sports have become more and more developed over the years and without a holistic approach to training and performance enhancement it is very difficult to survive in the sports world. There is a need for athletes to have access to services that provide them with the necessary skills that will allow them to reach their maximum potential in their sport. We have developed a High Performance Programme in order to assist athletes involved in various sporting codes to improve their knowledge and skills in order to enhance their performance both in training and in competition. To educate athletes about sports medicine, injury prevention, strength and fitness, nutrition, and sports psychology (mental skills in sports). To provide athletes, coaches, parents, teams, clubs, and federations with up-to-date scientifically based information in a practical user-friendly way. Sandra Winstanley (-Sailer) is a former Swiss tennis player and currently completing her PhD in Sport Psychology. She is a member of SASMA (South African Sports Medicine Association) and of SASP (Swiss Association for Sport Psychology) and has worked with a variety of individual athletes, teams and federations. 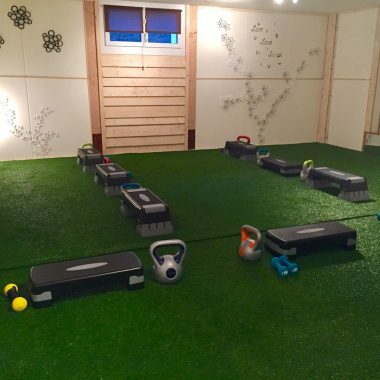 Sandra is the former sport psychologist of the Swiss Olympic Sport School in Davos, Switzerland and has expanded her minor university degree of sports sciences with several diplomas in nutrition and fitness training. 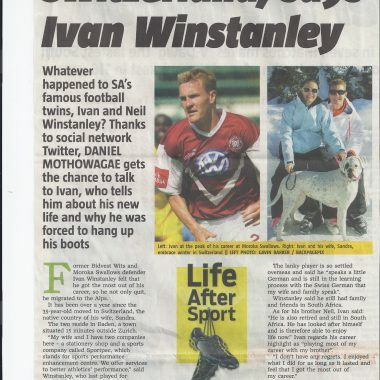 Ivan Winstanley is a former professional soccer player with 17 years of experience in the South African Premier League. He attended the School of Excellence in England as a young footballer and has played in a variety of international competitions. Since retiring from soccer Ivan has completed marathons and 2 duathlon world championships and is working with a variety of athletes on their physical performance enhancement. Ivan is a qualified personal trainer (Blackford Centre, United Kingdom) and has completed several diplomas in nutrition and strength & fitness training.